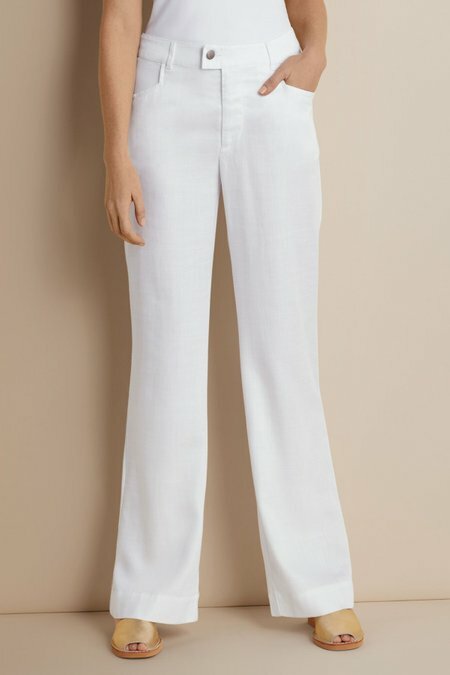 Our soft and drapey Tencel trousers make the case for wider legs, as they balance hips and lengthen silhouettes. Designed with front angled and back welt pockets, plus a zip fly and button closure, these all-occasion pants come in a versatile, updated light denim wash or white, and sit comfortably just below the natural waist. Tencel. Misses 32" inseam.